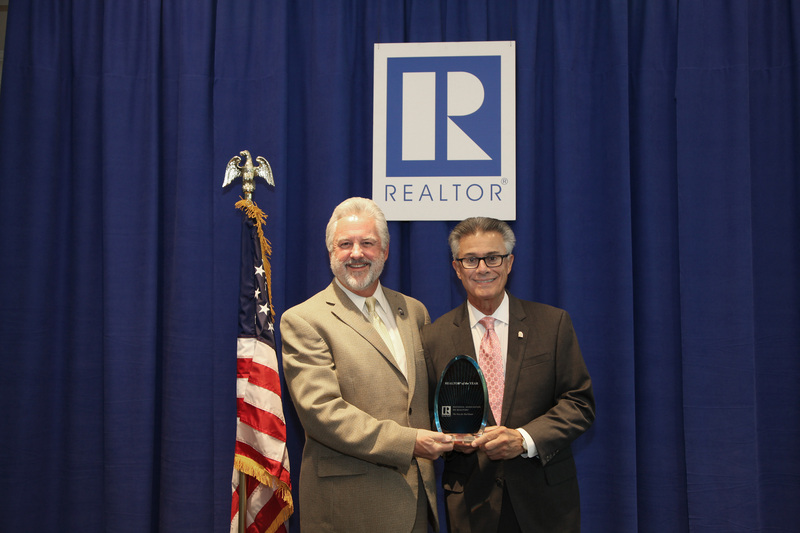 George Harvey was installed as the Regional Vice President 2017 for Region XI of the National Association of Realtors at the 2016 Realtors Conference and Expo in Orlando, Florida on November 2.Region XI comprises 106,000 Realtors in AZ, CO, NM, NV, UT and WY. Telluride, Colo. – George Harvey, Broker/Owner of The Harvey Team, was named Colorado REALTOR® of the Year by the Colorado Association of REALTORS® (CAR) at its 95th annual convention in Keystone, Colo.The award is the most prestigious award given to a CAR member and is a culmination of a distinguished career within the REALTOR® organization— at the local, state and national levels. In addition to activity within the association, the REALTOR® of the Year is a person active at the community level and successful in business. A REALTOR® member since 1984, Harvey is a two-time Telluride REALTOR® of the Year award recipient (1993, 2007).With countless hours of volunteer time, he has proactively served his community and his industry for more than 30 years and has held a wide range of leadership positions at the local, state and national levels throughout his career. Harvey’s leadership includes serving as president of the Telluride Association of REALTORS® in 1992-93 and president of the Colorado Association of REALTORS® in 2009-10. The Telluride Association of REALTORS® is the real estate trade association that represents more than 295 members and affiliates statewide. The association supports private property rights, equal housing opportunities and is the “Voice of Real Estate” in San Miguel County.For more information, visit www.telluriderealtors.net.